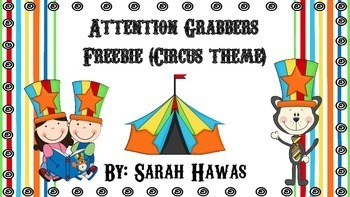 Students will love using these attention grabbers in class and so will you!! 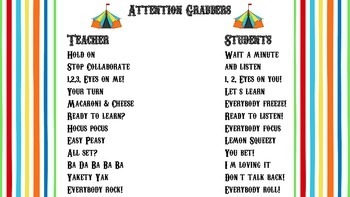 Classroom management will be a breeze and your students will participate more! You will say the phrase on the left and the students will respond with the phrase on the right. 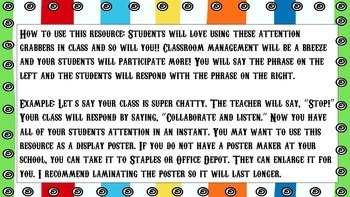 Example: Let’s say your class is super chatty. The teacher will say, “Stop!” Your class will respond by saying, “Collaborate and listen.” Now you have all of your students attention in an instant.